The perfect car seat for back pain suffereres is yet to be invented. There are many variables, such as weight, height and size, which need to be taken into account when designing an ideal seat. Many of us spend a lot of time travelling in our vehicles, sometimes for pleasure but mostly for commuting on a daily basis. This daily commute without taking your carseat into account can be a stressful experience. It is important to try and find a car that has a seat which is both comfortable and adjustable. The things you want to be looking out for is the flexibility to adjust the height, the level and rake of back, height of seat and angle and the distance from the steering wheel. The goal of adjusting your seat is maximum comfort, with the hips and knees well flexed, your arms should be flexed, relaxed and bent to the steering wheel. A recent article published has recommended that your torso is at least an A4 size piece of paper (lengthways) away from the steering wheel to prevent serious injury being incurred if the airbag deflates. If your carseat does not have a lumbar support, you ca buy special cushions that fit onto your seat to give extra cushioning. It is very important on long journeys to stop occasionally and get out of the car and walk around. This eases the spine and relaxes your legs. The Highways Agency state that tiredness kills, so breaks are essential! In order to avoid whiplash injury, make sure that the car head restraint is positioned correctly. It should be raised high enough so that the bottom of the headrest is level with the ears. 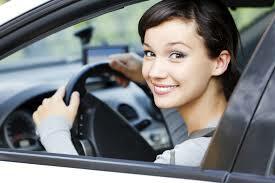 I hope these tips will help you to feel more comfortable with your positioning when driving – drive safely!